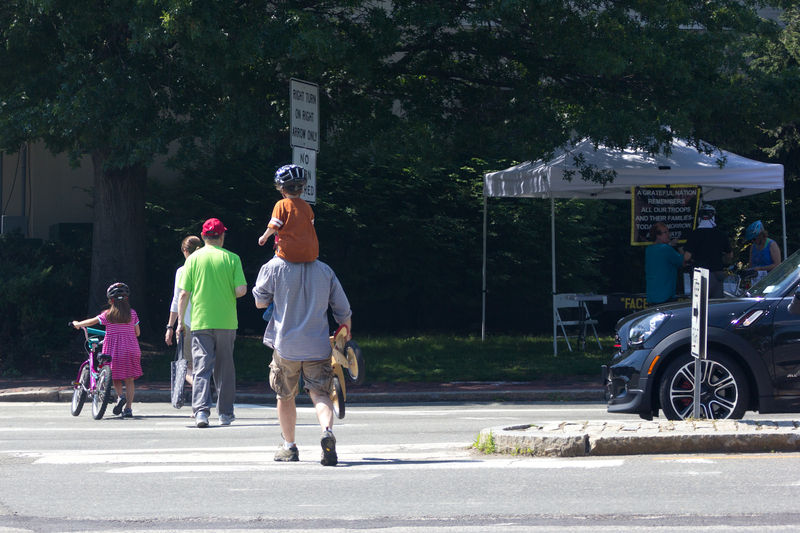 Doing the safe thing and not riding his bike across the intersection, a child rides his father’s shoulders instead. 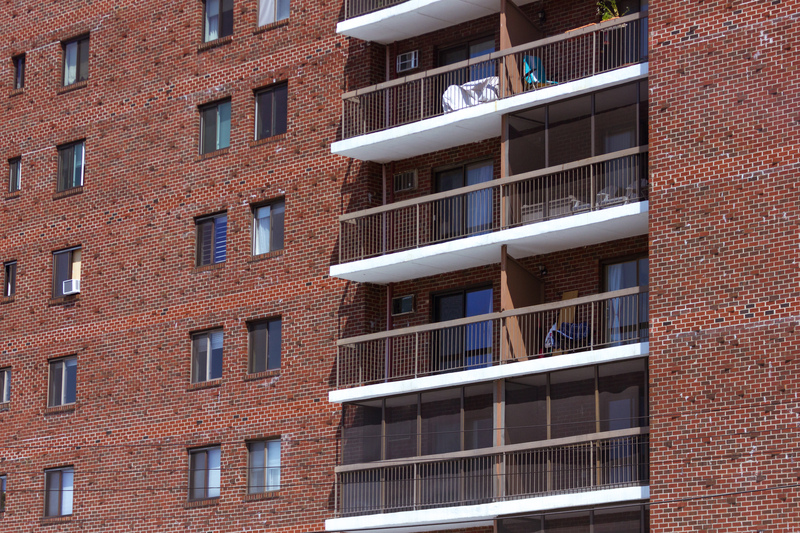 Balconies of the Mystic Tower Condominiums on Mystic Street. 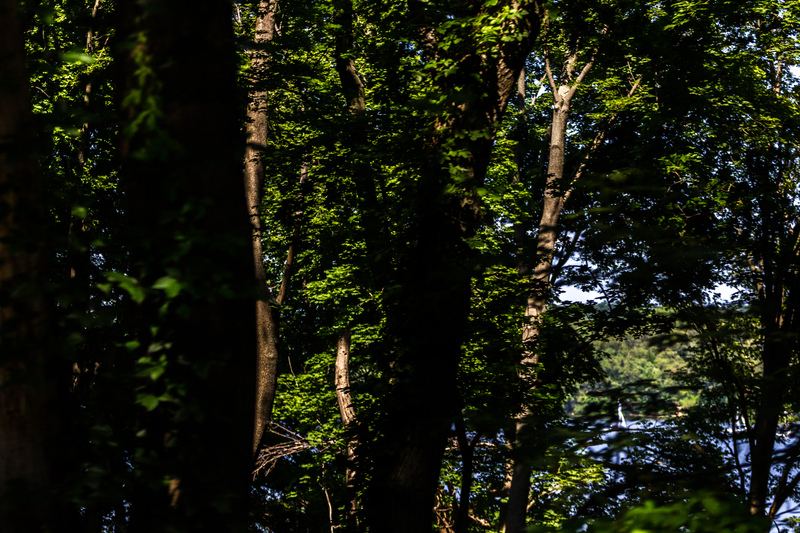 The trees of Window on the Mystic Park along U.S. Route 3. 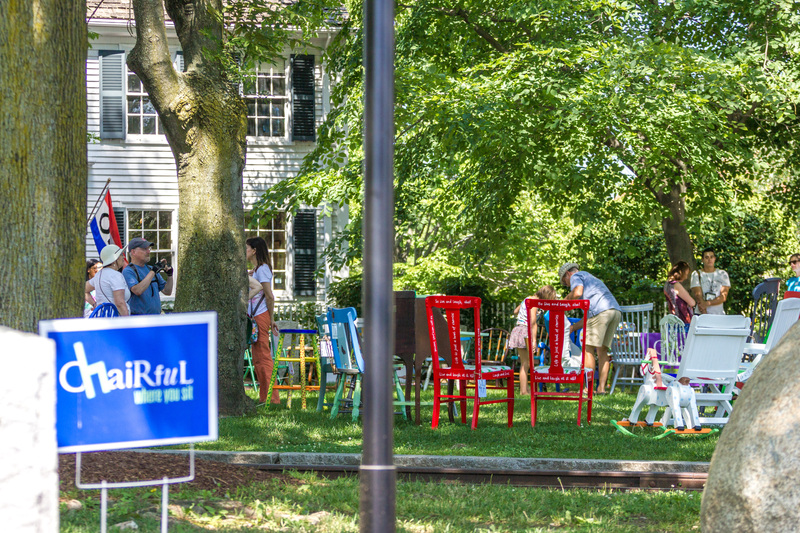 An art exhibition (Chairful Where You Sit) in Whittemore Park, the front lawn of the Jefferson Cutter House that houses the Cyrus E. Dallin Art Museum. 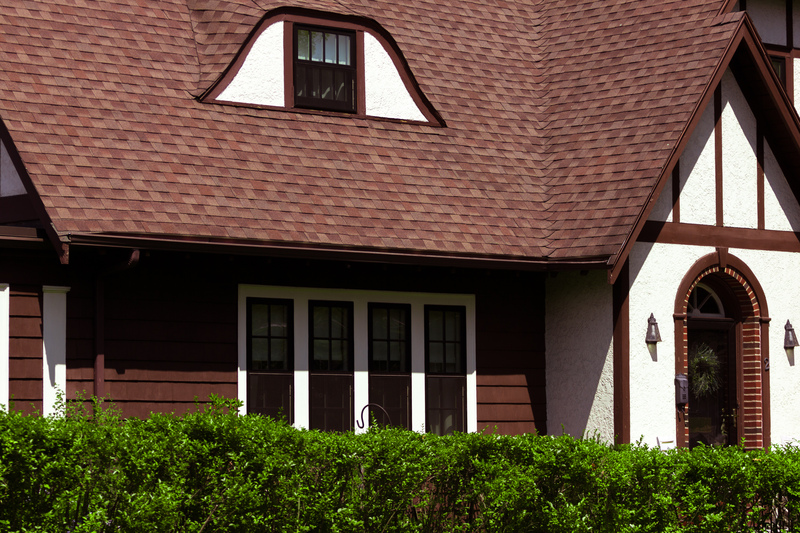 A home on Kimball Road. 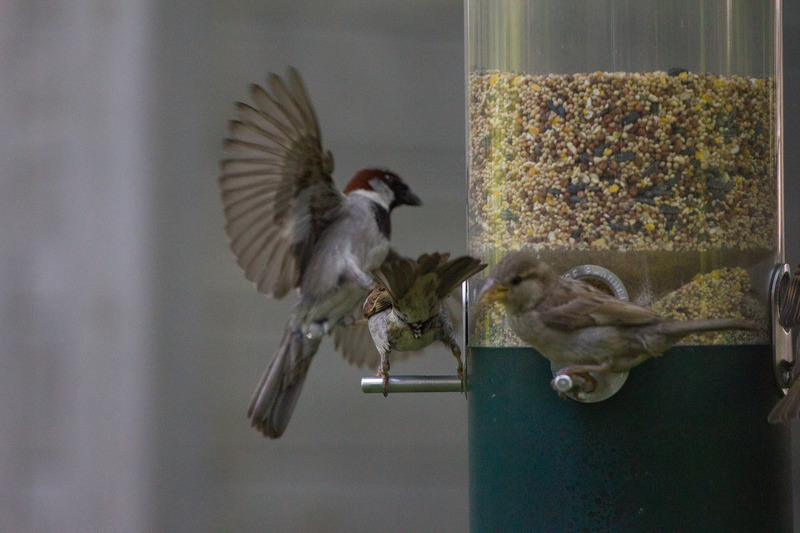 After asserting its position, then dropping the only seed it grabbed, a bird is forced to take wing after being knocked of the feeder perch. 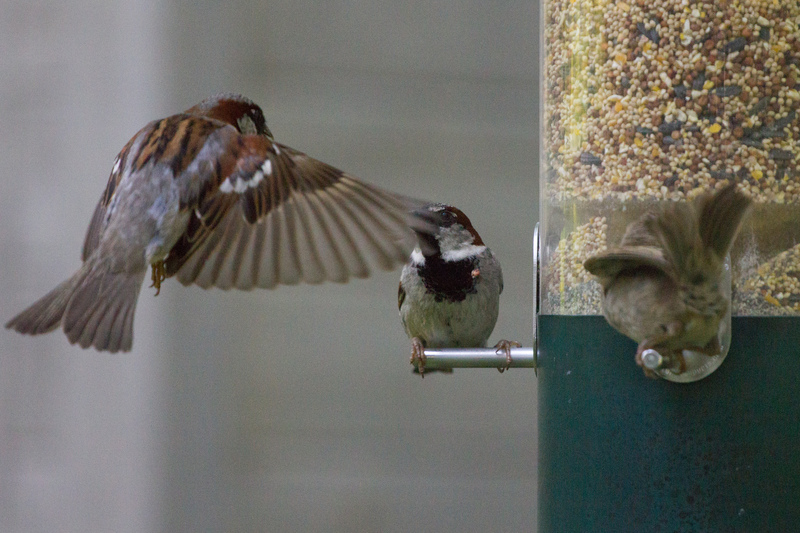 Once about to get eaten, a seed falls from the beak of a bird who turns its attention toward a challenger for the perch.